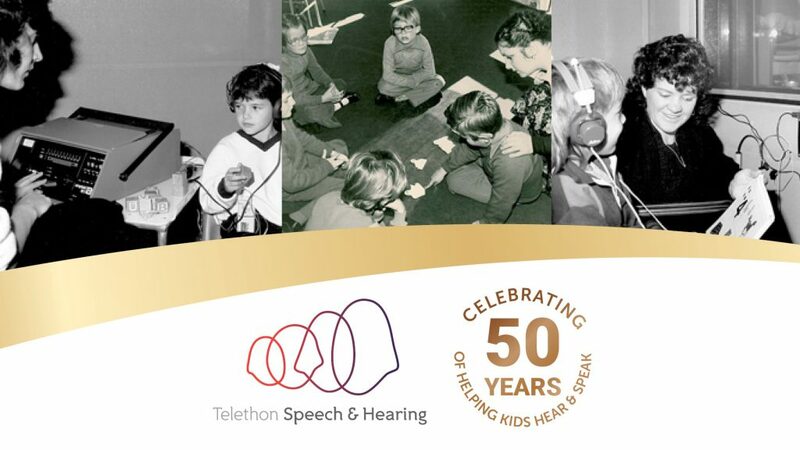 Telethon Speech & Hearing (TSH) is thrilled to have spent the past 50 years helping enrich the lives of children and families with hearing, speech and language impairments. Since 1967 our centre and programs have grown immensely, but the tenacity of our founding parents to pursue excellence for our childrens’ learning and future remains until today. To celebrate our 50th Anniversary, TSH will be holding various events and projects throughout 2017. A calendar of these projects is currently being developed for this website and will continue to be updated throughout 2017. 50 Years, 50 Stories: An ongoing campaign showcasing 50 stories of people and families who have been a part of our organisation’s history since 1967. Click here to share your story. 50th Anniversary Breakfast: 28 March 2017. An introductory event for TSH staff and affiliates to kick-off our year-long anniversary celebrations. Watch the video and read highlights of our breakfast event here. Telethon Speech & Hearing’s 50th Reunion: 17 June 2017. For all past and present staff, families, students and friends of our hearing, speech and language community. More information available soon!